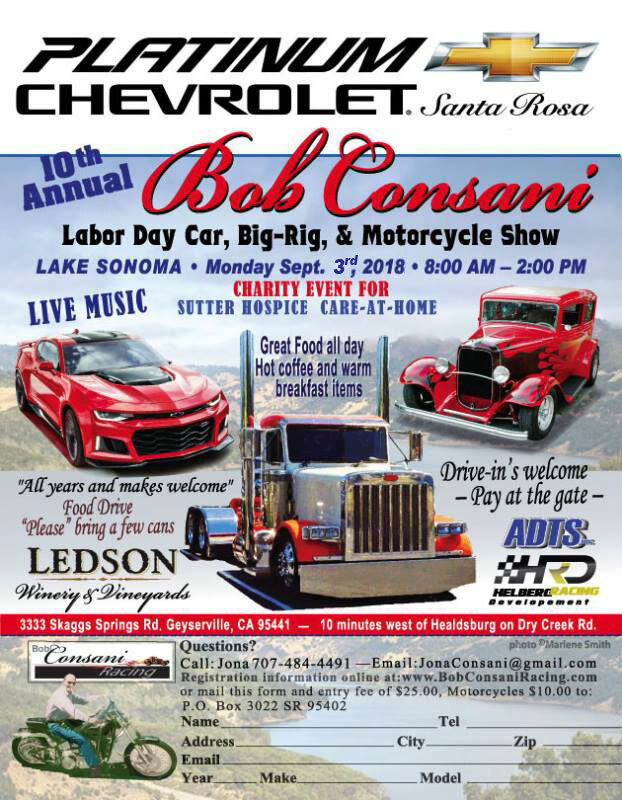 "Bob's car show is a charity benefit for Sutter Hospice. It is also a FOOD DRIVE for Redwood Empire Food Bank. Please bring as much food as you can spare, including pet food. There are so many hungry families in our own home town and our car community has really stepped up the past 7 years and fed a lot of them through this show. Our loving gratitude and blessings to all!!"